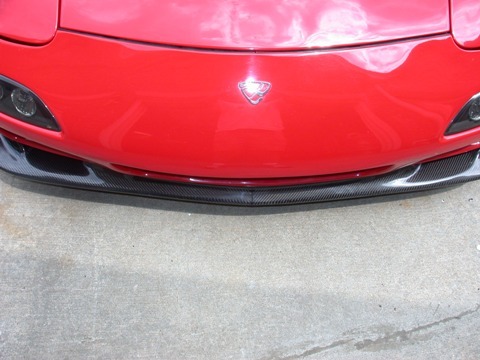 JKL front 99' carbon fiber splitter. After so many years of focusing on purely the performance elements of my car I thought I'd add a little exterior bling. 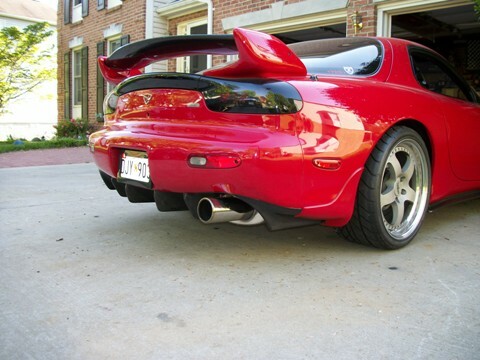 I'm not for the over the top body kits but a little carbon fiber accents wouldn't hurt to add a little flash to my car. One can argue the benfits of added strength and reduced weight of the acrbon fiber parts but let's be real. 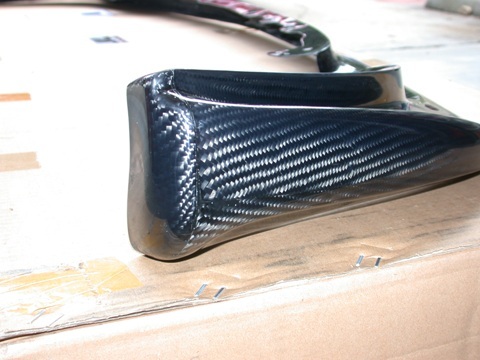 There really is nothing to be gained by using the carbon fiber parts over the parts I replaced. 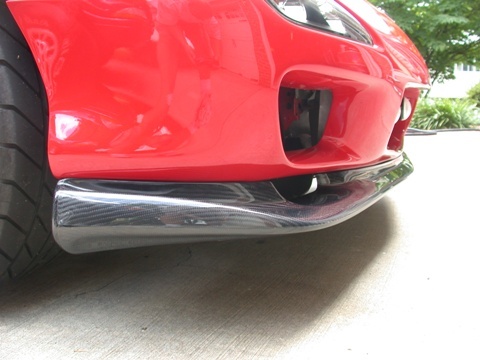 So without further adue, the JKL carbon fiber version of the '99 OEM lip spoiler/splitter. The JKL splitter middle seam. 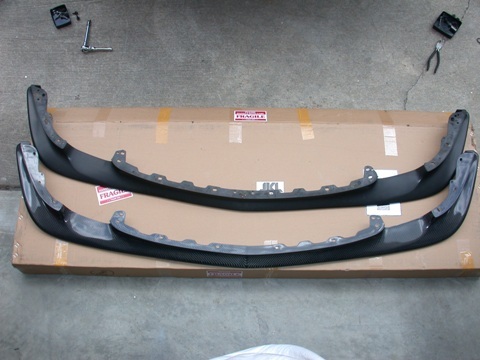 A comparison of the JKL splitter and the OEM 99 splitter. Closeups of the JKL splitter. The JKL piece was expensive for what it is but the quality was pretty decent so I bought one. 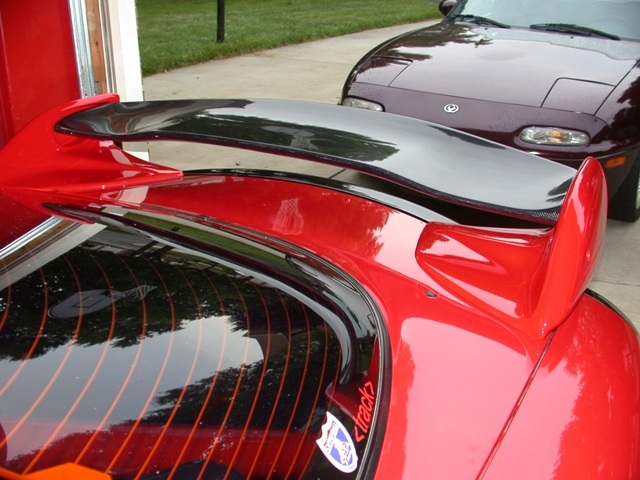 It woudl have been nicer if there was no seam in the middle like the OEM spoiler but beggers can't be choosers. Fitment was perfect. 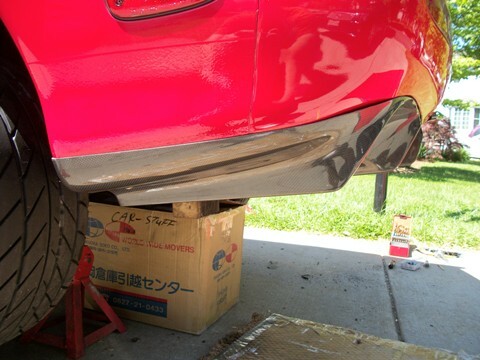 I started fitment on one side and then found ot was off about a half an inch on the other side. SO i removed it and started again from the middle and worked my way out to each corner. taking this apporach all lined up very well. This is a genuine article. Shipped from Japan. Expensive? Ouch! Oh, but so pretty. 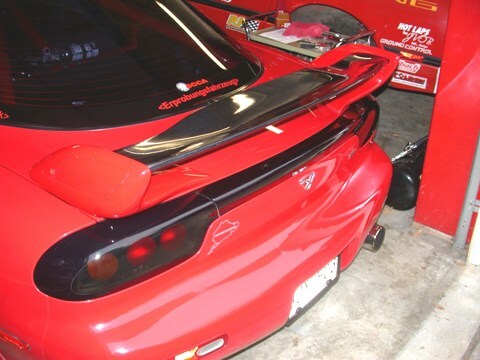 The 99 wing element served a function and added real downforce. The AutoExe element is a little bit more aggressive with a scupltured shape in the center. 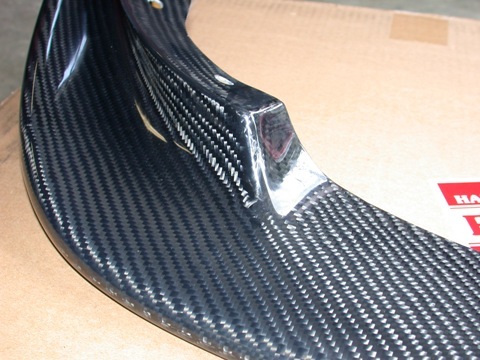 And it's carbon fiber of course. 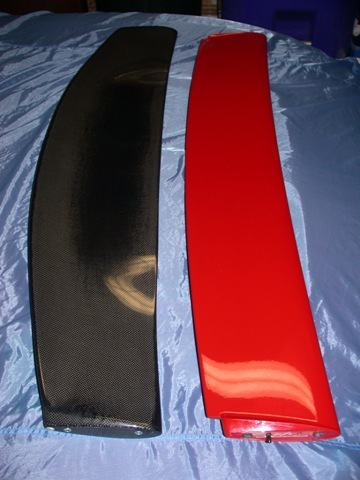 A weight comparison of the OEM element and the AutoExe carbon fiber element showed a weight savings of XXXX lbs. 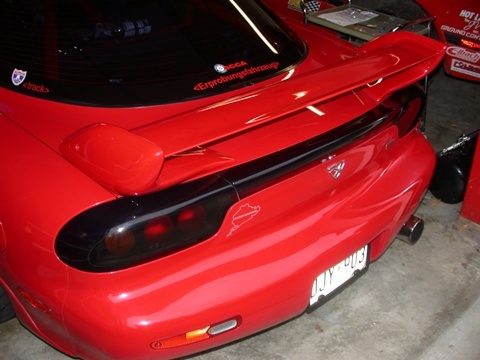 I had originally looked at the Odula '99 rear wing element which is slightly more agressive but the Auto Exe could be more easily sourced domestically. 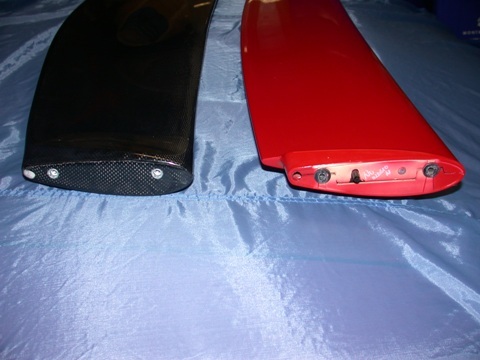 Comparison of the carbon fiber AutoExe element and the OEM '99 element. Installation was fairly straightforward. 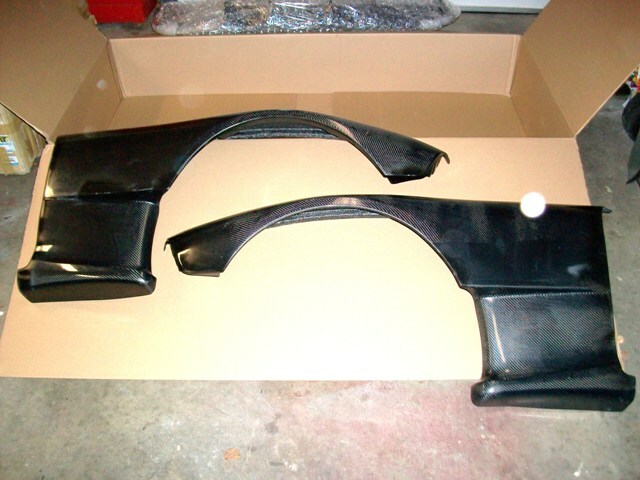 I removed one side of the OEM wing supports to remove the OEM element and install the AutoExe element. The AutoExe element fit fairly well but one hole did require a little opening up. But otherwise an excellent fit. Note holes match up with the OEM mounting holes. The final product lined up well. 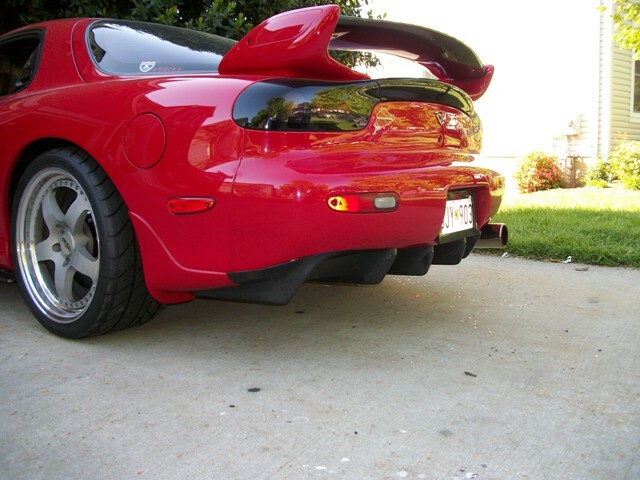 RE Amemiya rear street diffuser installed. This is not a genuine article. It's actually an outstanding reproduction made by Shine. Expensive? Not bad and significantly less than the genuine article. I waited 18 months for Shine to come through and produce a carbon fiber version. 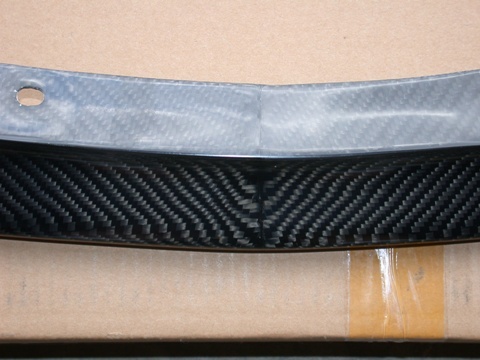 This is a plain weave to match the other carbon fiber accents on my car. 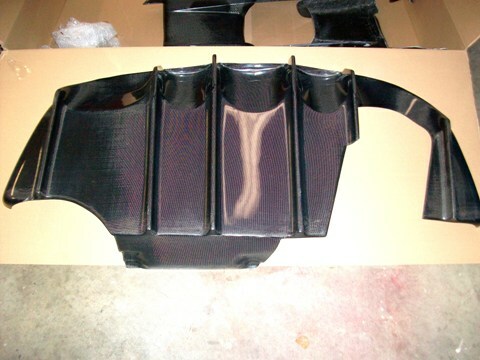 It is a very nicely made part with no real imperfections. Is it functional? 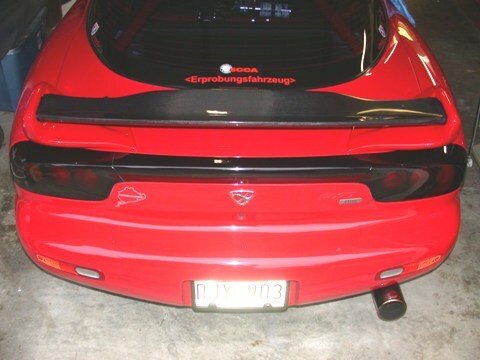 I would think it adds some additional downforce but is far from adding much. Installation was somewhat involved simply due to the size of the piece. 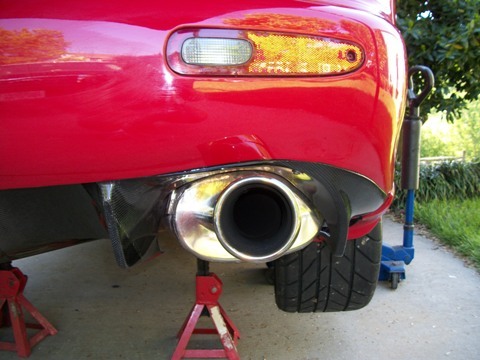 It can be installed without removing the catback exhaust. 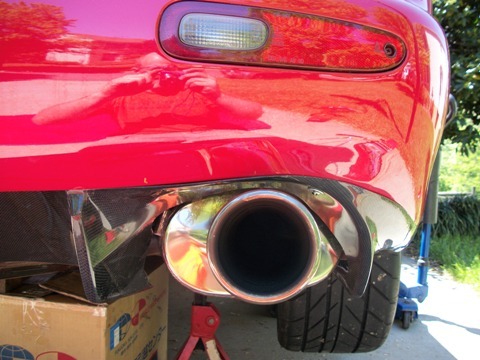 Some say removal of the exhaust is necessary but I managed without removing it. 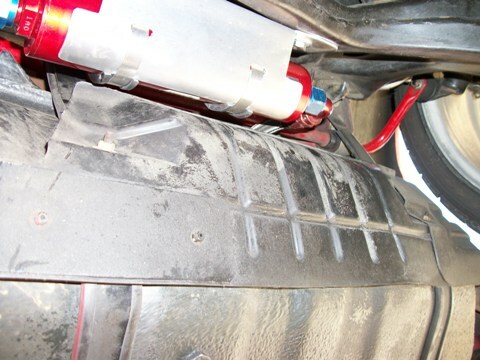 Installation in principle is fairly straight forward. 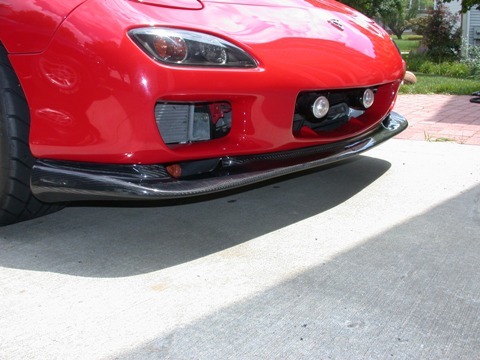 Remove the OEM rear plastic bumper trim - essentially threaded spring clips attached to the lower edge of the bumper. A bit of a pain given the location of the screws, especially above the exhuast but work at it. 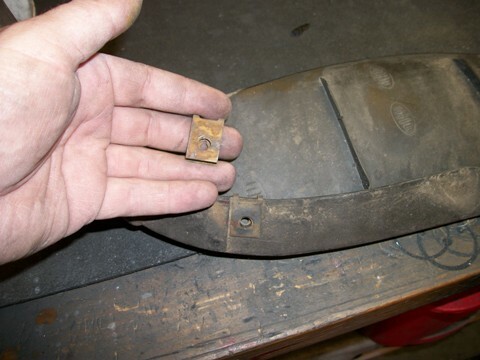 And removal of the mudguards and a couple of screws inside the rear fender. 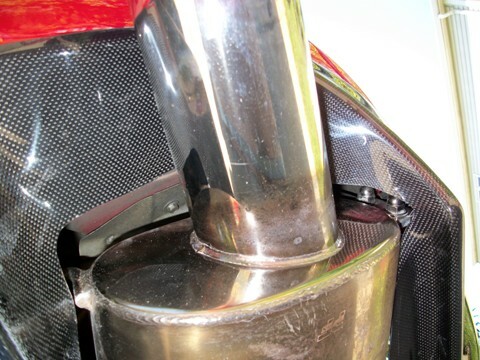 The leading edge mounting points for the diffuser attach to the fuel tank leading hanger straps. be sure to keep the OEM clips...clean them up of course. And the two forward mounting points on the fuel tank hangers. 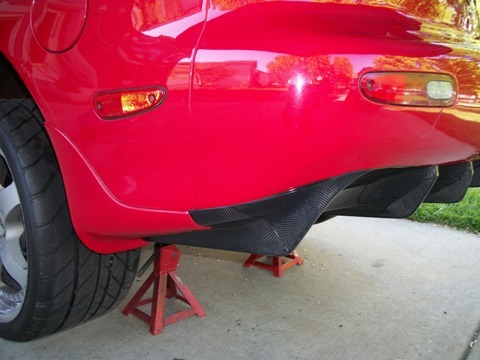 And then it begins...fitment of the diffuser. I used all means to prop up the diffuser as it is quite "bendy" and the last thing you want is to crack it by overflexing it. Overall fitment was very good and only some minor trimming was necessary. One area where the diffuser didn't mate up to the bumper very well I jammed a prop (a wooden block) behind the bumper skin to push it out a little bit and help close the gap. It worked to a certain degree but not all the way. 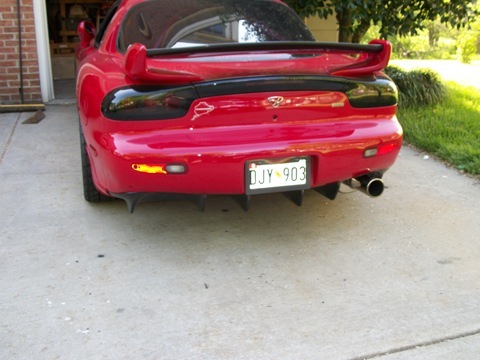 I will say that I probably had the diffuser on and off at least a dozen times...possibly more....getting the fitment right. 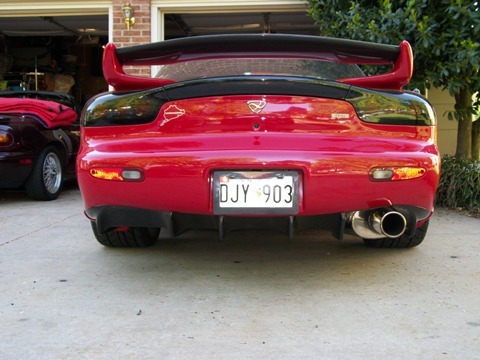 Fitment around the PFS exhaust...note trimmed areas around the hanger. 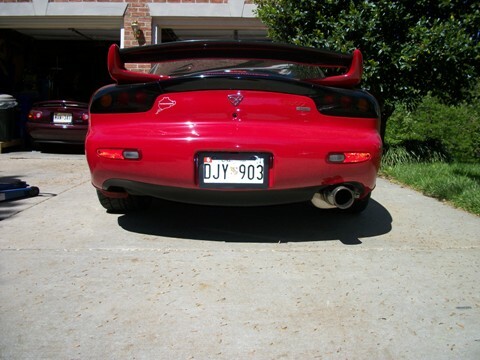 The only area requiring some customization was around the silencer section of the exhaust. Each catback being different this was not surprising. 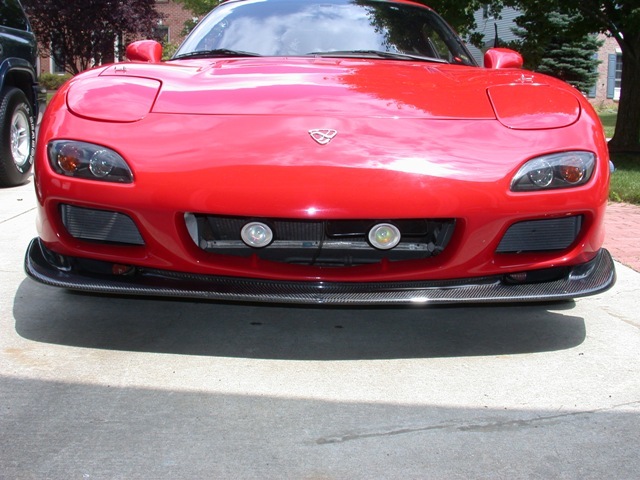 Once you are happy that fitment will be good drill the new holes for the threaded spring clips you salvaged from the OEM bumper trim and clip them to the diffuser. Also drill the leading edge mounting point holes and the four holes for the external mounting screws - remember, measure twice...or five or six times, before drilling - you have only one shot at it! One area didn't fit so well but this can be masked with some detail work. I did manage to refit the OEM mudguard with some judicious trimming of the mudguards with a dremel. 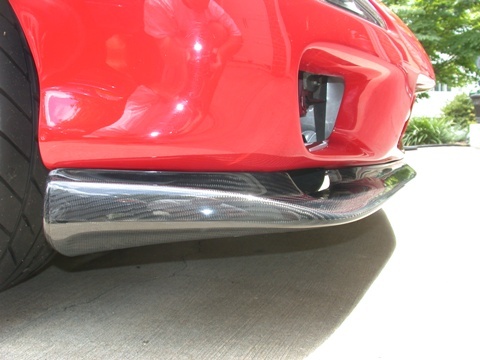 As for that detail work I found that carefully applied black RTV will fill in the small gap along the edges of the diffuser where it meets the bumper. It works very well. 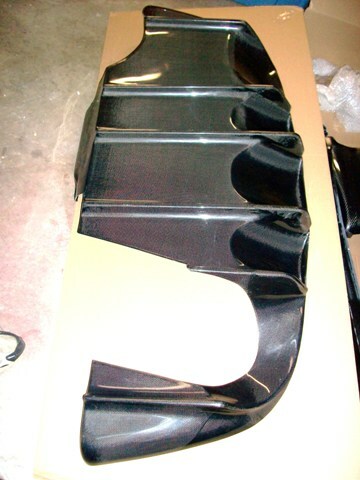 Over all this is a great part and really finishes off the rear of the car. Finish work and some RTV to fill in the gaps. 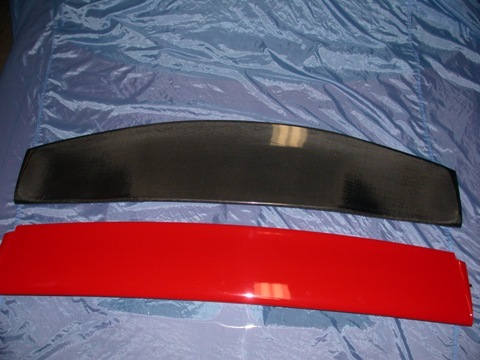 Fitment of the mudguards also.